Freed of the burden of their television confines, Stone and Parker really cut loose. Sure, that included the sudden ability to have the characters curse up a storm, but Stone and Parker also made sure the movie had a funny, engaging story and, by South Park terms, felt appropriately big to justify the leap to the big screen. Inspired by any number of animated and Disney films, the South Park movie is a full on musical an especially off-kilter, truly inspired, dirty and laugh out loud musical. Deftly satirizing the controversy around their own show, Parker and Stone tell the story of how the outrage over a raunchy animated film eventually causes the US to go to war to Canada. “Bigger, Longer and Uncut” features some impressively catchy songs and “where the hell do they come up with this stuff?” plot points, including a romance between Satan and Saddam Hussein. It’s truly out there and brilliant, in the way only “South Park” can be, when it’s firing on all cylinders. 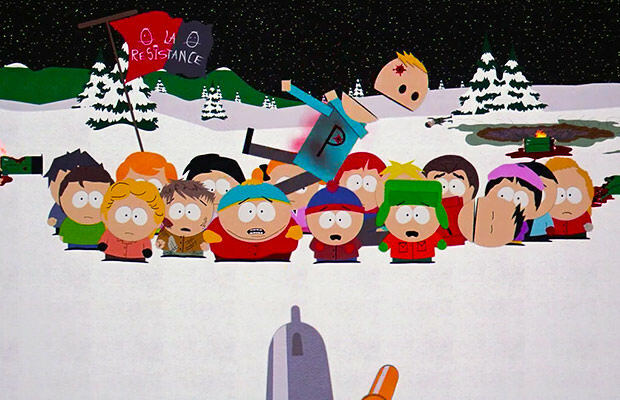 On one hand, it’s disappointing there hasn’t been another “South Park” movie. But on the other hand, it’s hard to see how this one can be outdone.